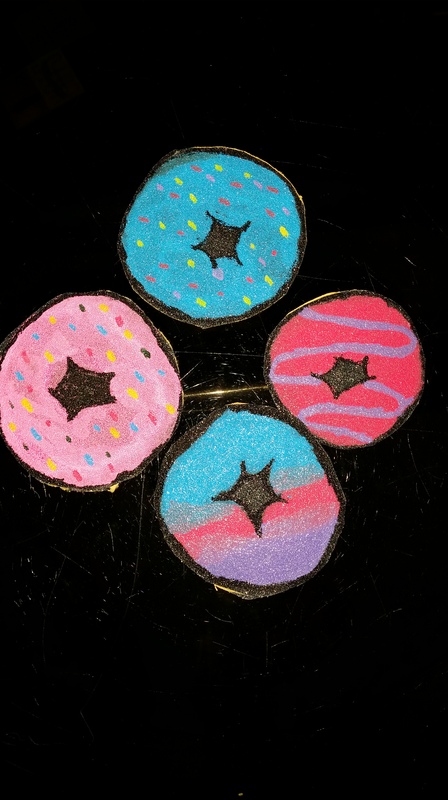 My previous post about trying out new things was my way to ease the two of you readers into my new line of grip tape artwork I now titled scoop x grip stickers because a lot of the stuff is scoops of ice cream. How did I make it you ask? Well I have acquired a few rolls of grip tape, which is the gritty sand paper texture that is applied to skateboard decks to ensure tractions for skaters. 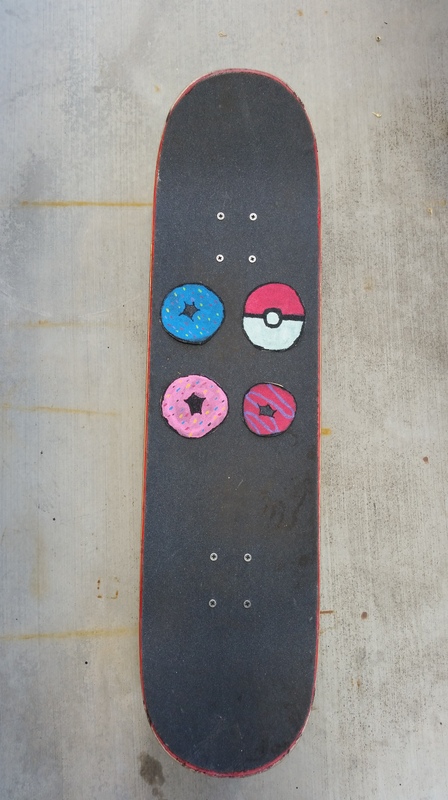 I decided to use the grip tape to make my own stickers. 1. I used my paint pens from one of my cat skate deck, which you can purchase. 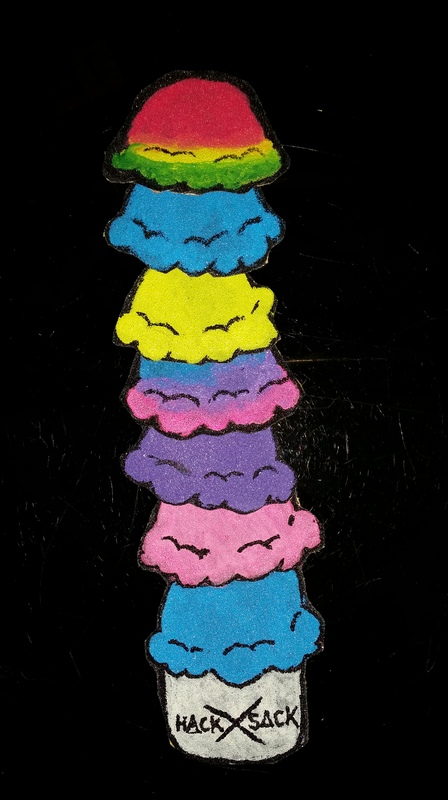 to color in the artwork I made. 2. I cut out the artwork I made. My themes are the usual things I enjoy such as desserts and what not. I’ll be selling them soon, I’m thinking $1-3 dollars per sticker and putting them in different dessert packs. Be sure to like, comment on ideas, and opinions, and follow me on every thing else I do.